OLD PARKED CARS. 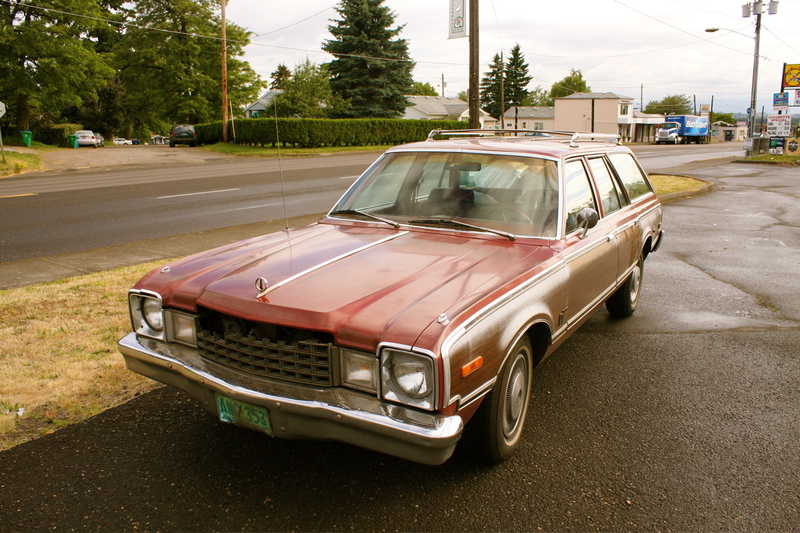 : 1979 Plymouth Volaré Premier Wagon. 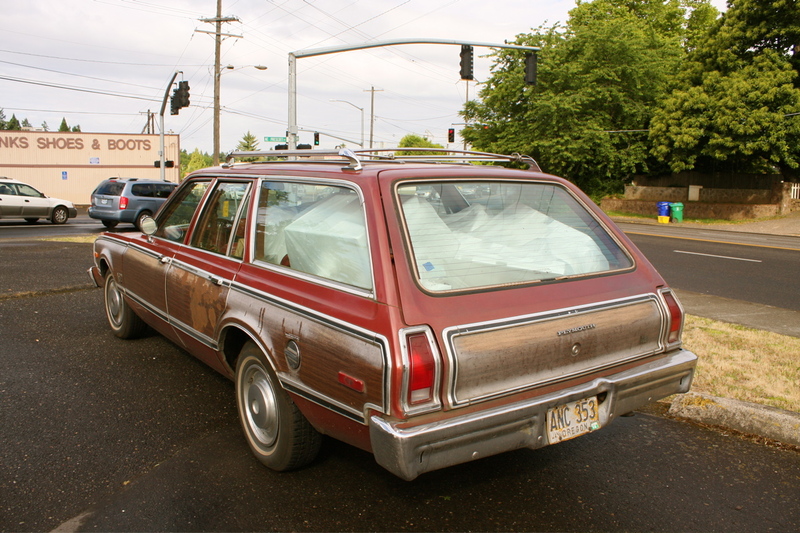 1979 Plymouth Volaré Premier Wagon. Great front end-the two big squares are kinda unique. Great patina on the fake wood, too. 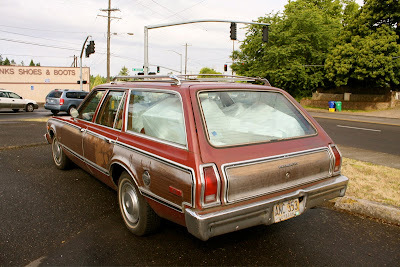 If I ever win the lottery, I'm going to collect and restore wagons. 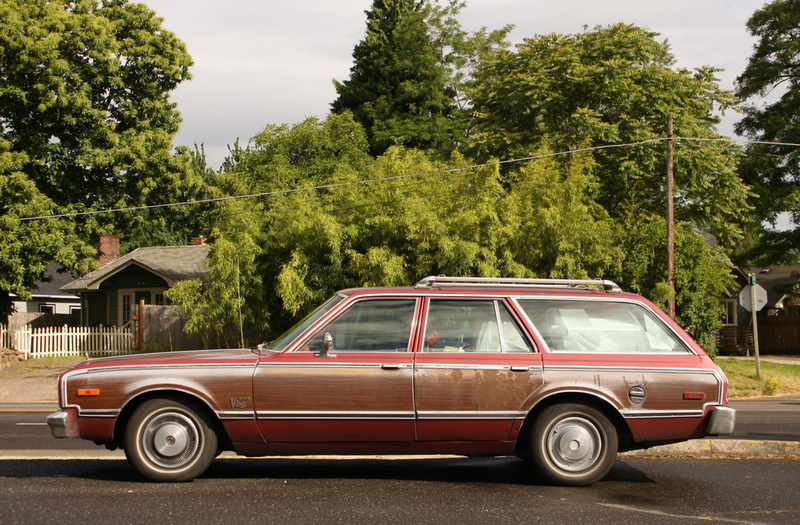 I can't stress how much I love the look of the Volare/Aspen twins, particularly the wagons. This one's a great color I don't think I've seen before. The grills really are an obvious weak point of these, aren't they? Inspiring patina, and so great to see a set of complete hubcaps and so many trim pieces.